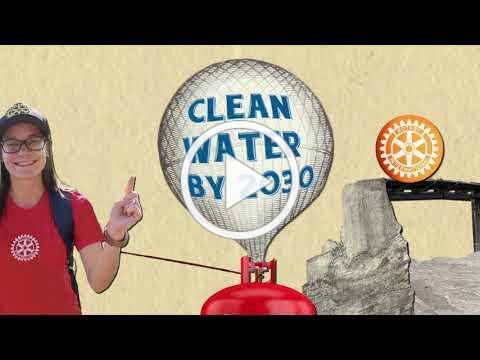 Enter the World Water Day Competition - it's not too late! 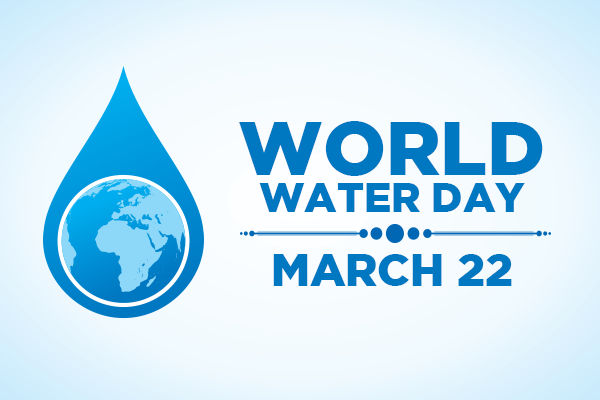 Did your club do something special for World Water Day or will you be doing something in the next month? Check out the details on this year's World Water Day Contest. ﻿World Water Day was on March 22, but the closing date for entries is May 1, 2019. Are you New to, or Experienced in WASH? 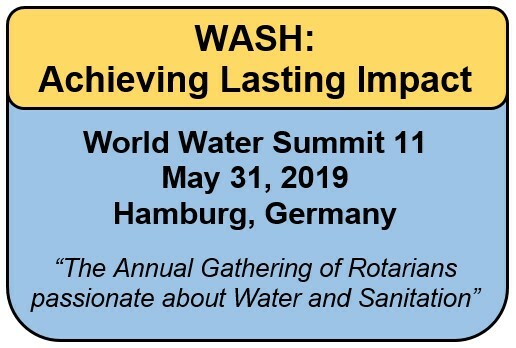 This year, the WASRAG World Water Summit starts into its second decade of providing Rotarians with a program that is a mix of international speakers to enlighten and energize, to round table discussions that provide practical solutions and new contacts. You will have opportunities to attend breakout sessions on Preparing for a WASH project, Doing the Actual Planning, Implementation, and Monitoring and Evaluation. Those new to WASH, will participate in round table discussions on specific topics. Those that are more experienced will have in-depth discussions. The keynote speaker will be Dr. Patrick Moriarty. 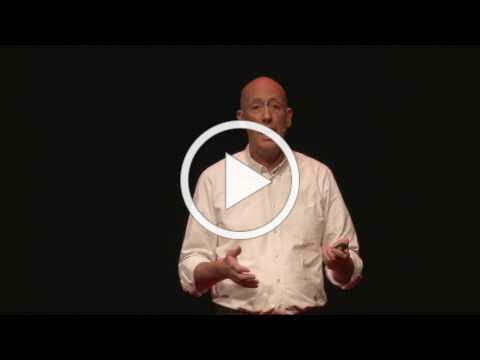 If you watch the video from his TED-Talk, "It's about the systems, stupid", you know you are in for a treat to hear his address. Plenary Speaker, Dr. Maria-Elena Figueroa, John Hopkins University, will help us understand the social and cultural factors that impact on safe water, sanitation and hygiene behaviors. Something unique this year at the RI Convention is a cruise of the Hamburg Harbor organized by the Beer Rotarians Enjoy Worldwide (BREW) and WASRAG. The cruise happens on Sun. June 2 from 7-9 pm. The $50 USD ticket includes the cruise of Europe's third largest harbor, beer and two sandwiches. 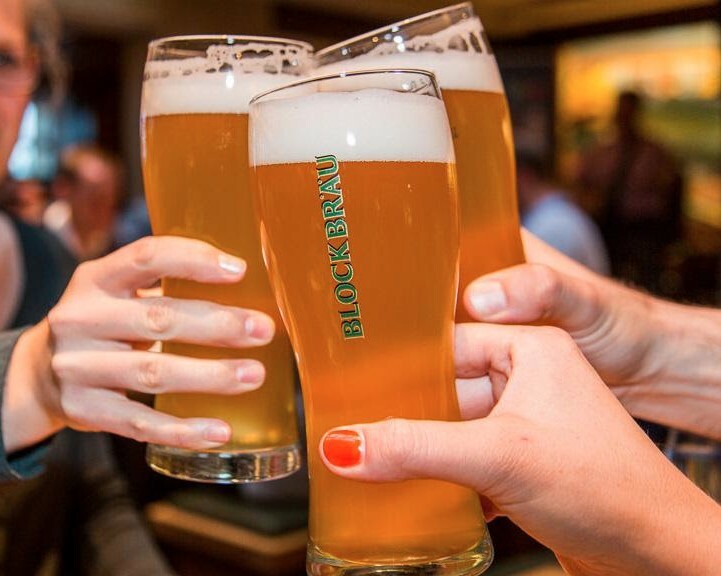 For more details and to order tickets go to Hamburg Harbor Beer and Food Cruise. Rotarians are never shy about taking on large water and sanitation projects. However, there are few that set out a 10 year strategic plan to bring water, sanitation, and hygiene training to over 450 schools and 400,000 students. 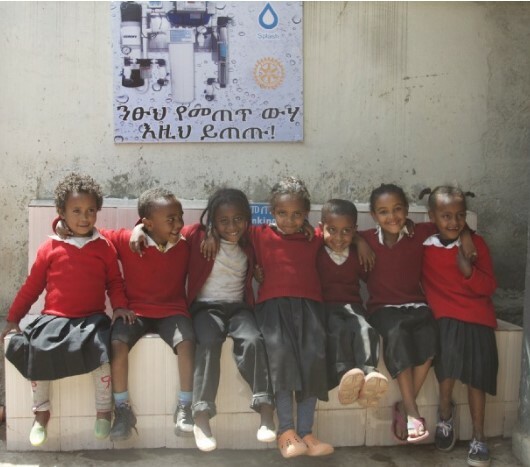 The Lake Union Rotary, Seattle, WA and the Rotary Club of Addis Ababa West, Ethiopia, have already completed 26 schools for 35,000 students. The Rotary Club of Blowing Rock, NC partnered with Rotary Club of Santiago, Dominican Republic (DR) to bring ceramic water filters to 125 families. Working with Wine to Water this project has an interesting twist where the Rotarians visit the plant in the DR where they actually make the ceramic filters. The filters can last a life-time if cared for properly. Other Rotary clubs are welcome to visit the DR to make filters for the local people. 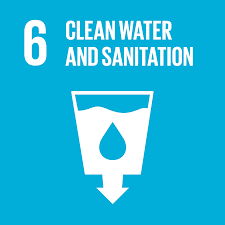 The USAID website is an excellent resource on water and sanitation information. You can also subscribe to their regular newsletters Water Currents and Global Waters. 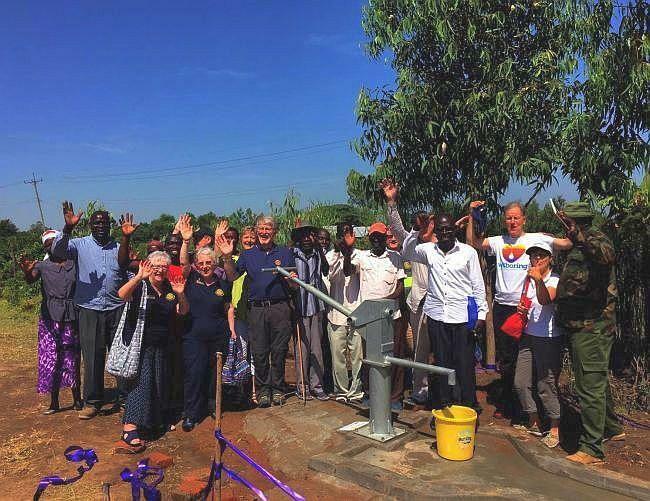 The Rotary Club of Chippenham, in partnership with six other Rotary Clubs and the Rotary Club of Kisumu worked with the non-profit WellBoring to drill 13 wells for schools in Kisumu, Kenya. The project was made possible by a $85,000 Global Grant from The Rotary Foundation. 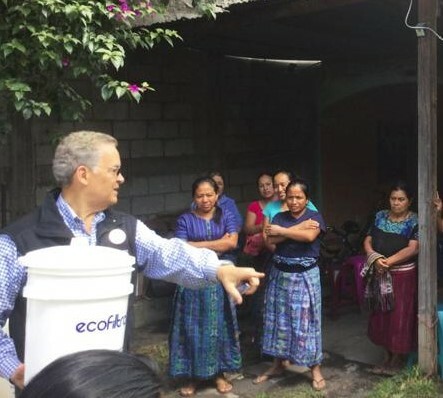 Canadian Rotarians from the Rotary Clubs of Montreal-Lakeshore, Montreal West and Notre-Dame-de-Grace-Westmount (NDG), and Hawkesbury combined to provide water filters and in some cases toilets for homes in San Antonio Aguas Calientes, Guatemala. To ensure sustainability, the families all agreed to regular payments into a community fund to replace ceramic filters when required. To learn more read this article in The Suburban. 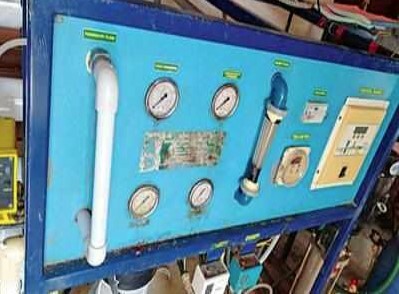 After 20 years, the Reverse Osmosis filtration system in Kainakary Grama Panchayat, India stopped working, sending the village into a acute shortage of potable water. So the Rotary Club of Alleppey East who paid for the Reverse Osmosis plant two decades ago, stepped up and paid for the new Reverse Osmosis plant, plus construction of two water-harvesting plants and repairs to some damaged water pipelines. Engineering for Change provides a number of good articles on sanitation and clean water technology. 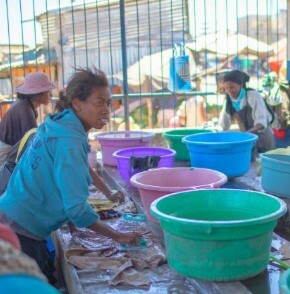 The article "Are one-size-fits-all metrics for global WASH really appropriate?" questions standardization and encourages metrics from the ground up, based on where they will be implemented. It's an interesting read. Rotarians at the Club, District and International level have all made a strong commitment to providing clean water to everyone in the world.